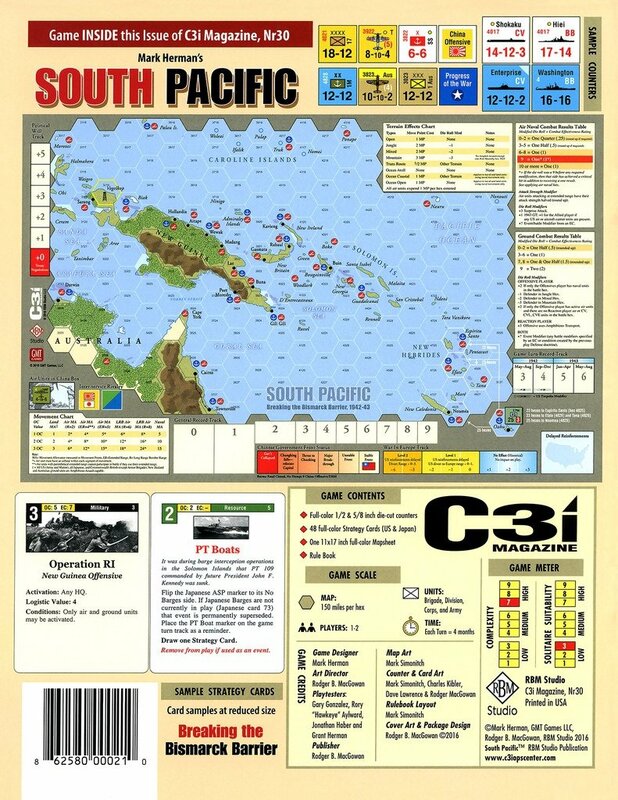 South Pacific (SPac) is an Empire of the Sun (EotS) C3i Scenario Variant that uses the full scope of its parent design. While South Pacific is a complete stand alone game all of the tactics that work in EotS work in SPac. 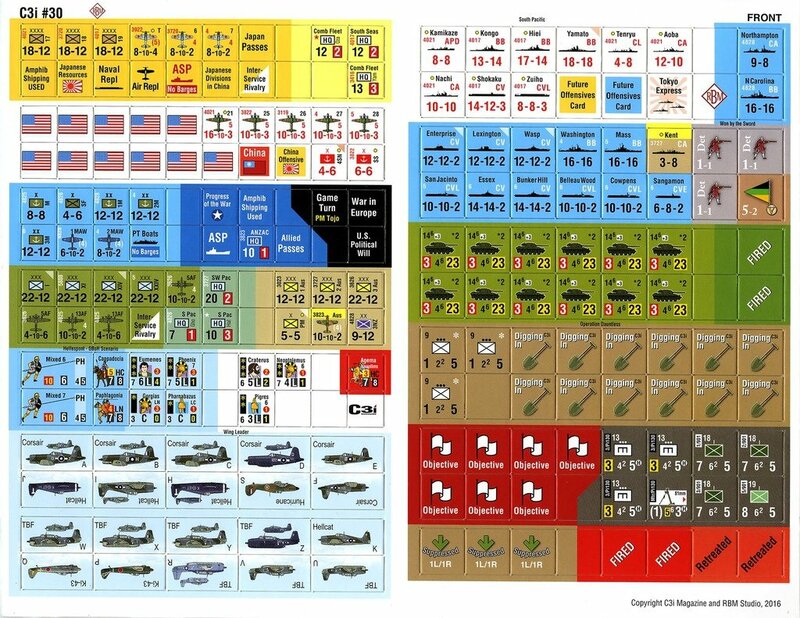 What is unique about SPac is the smaller map region (see c3i 30 back cover image) focuses and significantly simplifies the strategic options available to the two sides. Each side has a 24 card deck that are like the EotS cards except they have been renumbered. The counter mix is also identical, except we have aligned the set up and reinforcement markings to the four-turn scenario. In designing this new C3i Scenario Variant, I wanted to put you in the shoes of MacArthur and Ghormley/Halsey prosecuting the US counterattack, while still being impacted by interservice rivalry, China, and competition for resources in Europe. 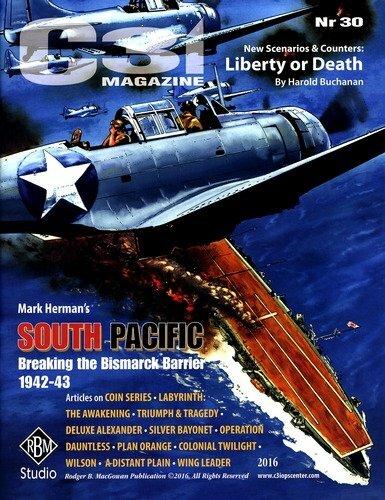 All of the relevant tracks have been redesigned by Mark Simonitch to fit on the tailored C3i Mapsheet surface that shines a spotlight on the turning point in the Pacific War. 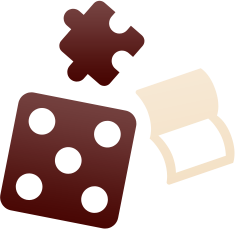 Since this is a subset of the broader war each player is playing with a four rather than a seven card hand, and you will never reshuffle the deck allowing for high replayability. The practical result of this smaller hand of cards is South Pacific typically clocks in at less than two hours, so easily a one-session game. If you learn to how to play South Pacific you will also know how to play its parent game Empire of the Sun.